A common question we get at New Breed is whether you should have your blog and marketing site on one or multiple domains. For some situations it might make sense to separate your domains but if you’re trying to use your website as a marketing tool (and we think you should be!) then there’s no reason to use more than one domain. The benefits of a primary domain overcast any reasons as to not have them on multiple domains. Let’s get into a few of those reasons. 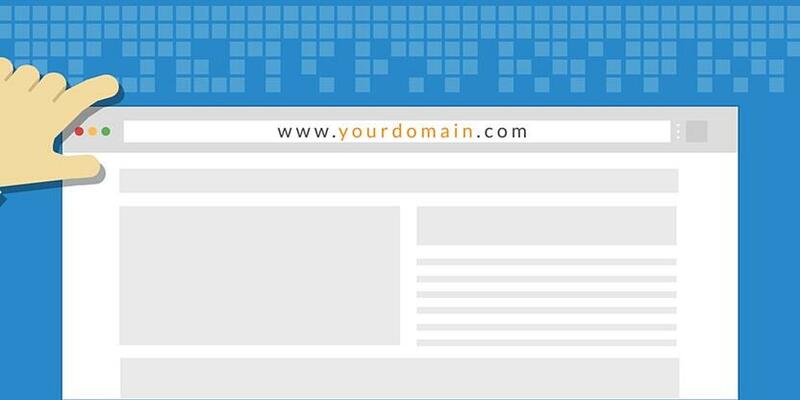 The single most important reason to keep everything under one domain is ease of use. If you only have one domain and URL string to remember, managing the various content across your website will be far easier to understand for your team and any future employees. Since there is only one domain/CMS/platform to manage, it’ll be significantly easier for you and your team to master. Instead of having to go into multiple systems and spend hours trying to figure the best ways to work them, you only have to learn one. And with only one to master you can quickly become experts in efficiency and allow you more time to focus on what's important — growing your business. Succinct reporting is key to making data-driven decisions. But when you have to export and look at multiple systems to get the full picture of your data, generating insights can be a very time-consuming process. Imagine if you had to build a report for your C-Suite visualizing how your visitors are engaging with your blog. First, for some initial insight you’ll have to look at your Google Analytics to analyze your website traffic data. But if your blog is on a separate domain, you won’t get exact numbers on the visitors from your primary domain that go on to visit your blog. Since it’s on a separate domain your form submissions are held on an entirely separate system. To build this report up to the expectations of your Execs, you’ll find yourself spending more time looking for the data than actually reporting on it. And we haven’t even brought up cookie tracking yet! With multiple domains, your cookies won’t have the ability to be visible throughout the whole site, limiting your ability to successfully track users. Not only is reporting easier but you also only have one platform to maintain, resulting in cheaper ongoing development costs and time savings for your team as well. This also includes renewing domains. Instead of taking the time each year to send off payments for your multiple domains and their different price points, you only have to write one check. From an SEO perspective, containing all of your content on one domain increases the overall authority of that domain. For example, if you have a blog on a separate domain any of that content isn’t related to your website content. If you are writing about the reasons one of your products helps solve a problem for your prospective customers, wouldn’t you want Google to equate them? Any gains you get from your blog also uplifts the contents on your actual site, it’s a win-win! It may seem like a complicated process in migrating domains and switching the way your website has always been set, but in the long run it will be completely worth it. Imagine if all of your content, reporting, cookies, and engagement data were held under the same roof and all you had to do to grab the info was click the export button… it almost sounds almost too good to be true! Luckily for you, it isn’t. Reach out to us today on implementing any changes to your domain.